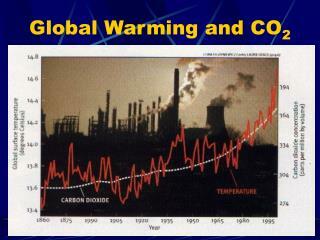 **Atmospheric levels of carbon dioxide, methane, and other greenhouse (GH) gases are rising. 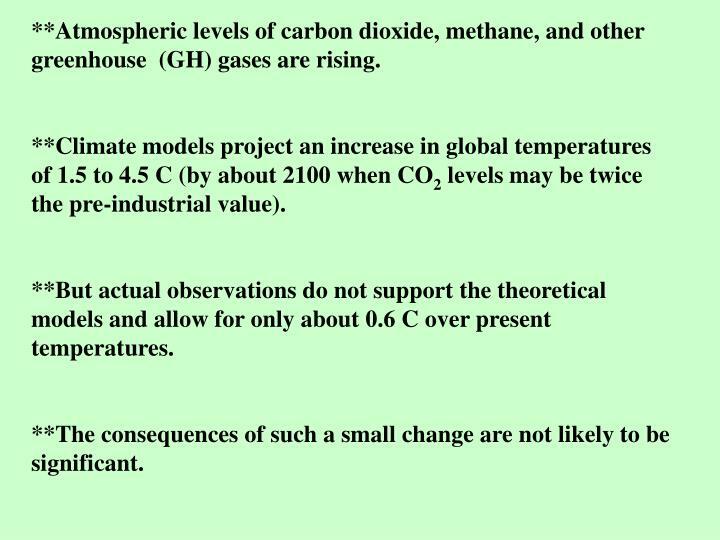 **Climate models project an increase in global temperatures of 1.5 to 4.5 C (by about 2100 when CO2 levels may be twice the pre-industrial value). 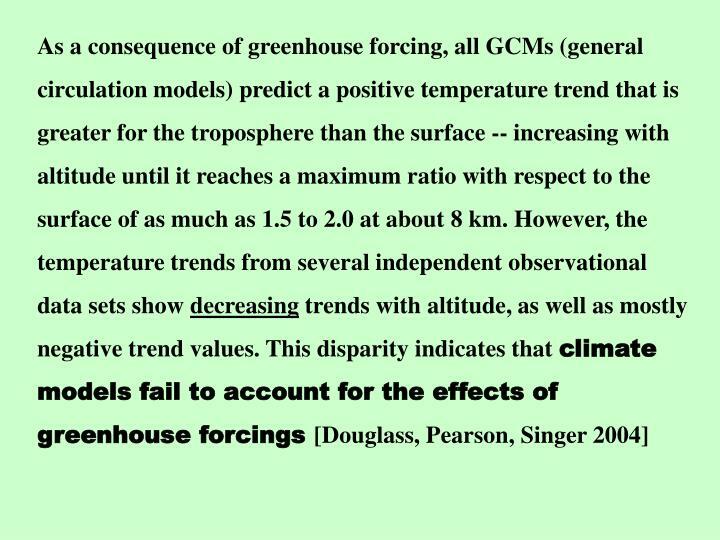 **But actual observations do not support the theoretical models and allow for only about 0.6 C over present temperatures. 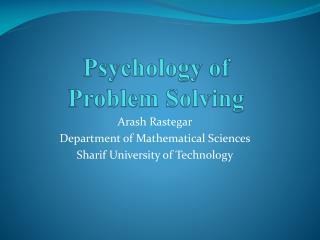 **The consequences of such a small change are not likely to be significant. 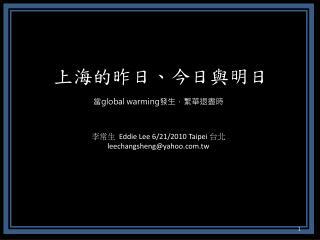 The existing concern about Global Warming (GW) is based mainly on the reports of the UN-sponsored Intergovernmental Panel on Climate Change (IPCC). 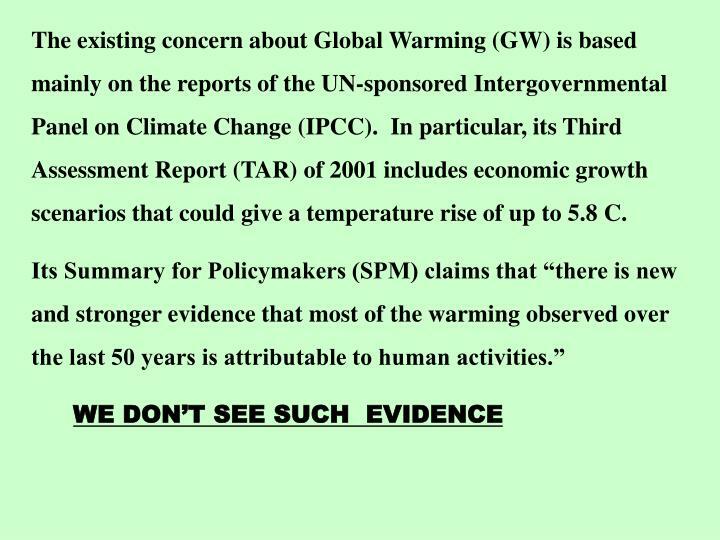 In particular, its Third Assessment Report (TAR) of 2001 includes economic growth scenarios that could give a temperature rise of up to 5.8 C.
The IPCC (2001) conclusion about human-caused GW is based on three pieces of “evidence.” None of these stand up to scrutiny. 2) Global average surface temperatures have increased by 0.6 C over the 20th century, with about half the increase since 1976, making the past decade the warmest. 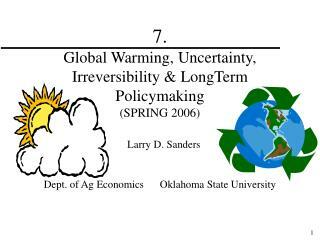 3) Climate models account for the temperature history of the 20th century – provided they include both natural forcing factors affecting climate (solar variability, volcanoes) and forcings from human activities (GreenHouse gases, aerosols). 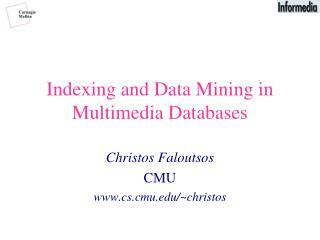 Proxy data (from tree rings, ice cores, lake and ocean sediments, corals, etc) indeed give information about the past. 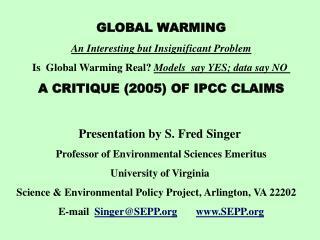 But they do not support the IPCC claim. 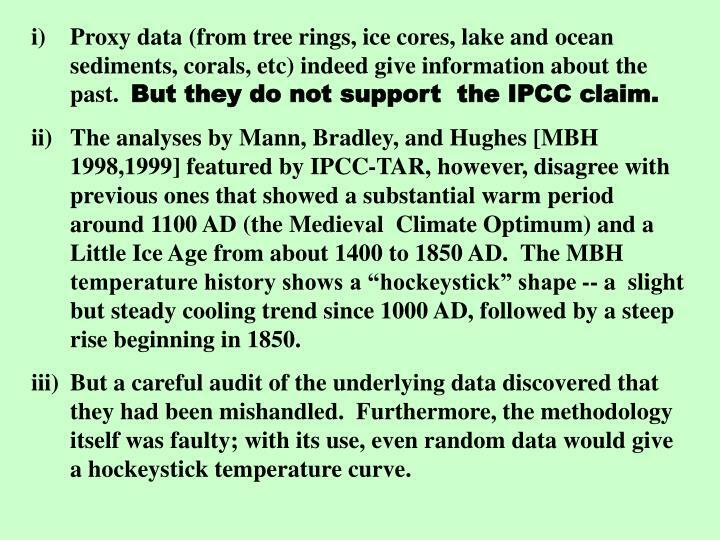 The analyses by Mann, Bradley, and Hughes [MBH 1998,1999] featured by IPCC-TAR, however, disagree with previous ones that showed a substantial warm period around 1100 AD (the Medieval Climate Optimum) and a Little Ice Age from about 1400 to 1850 AD. The MBH temperature history shows a “hockeystick” shape -- a slight but steady cooling trend since 1000 AD, followed by a steep rise beginning in 1850. 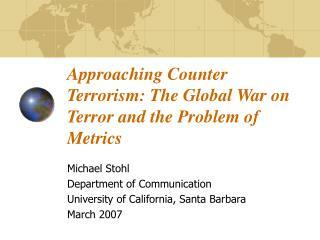 But a careful audit of the underlying data discovered that they had been mishandled. 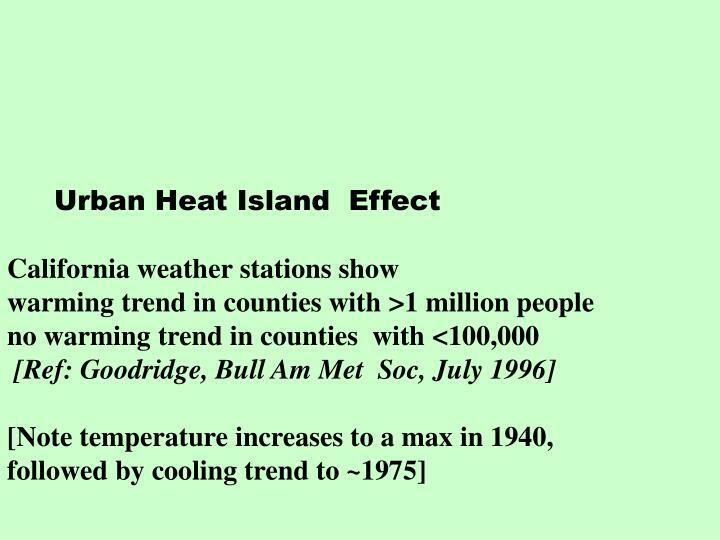 Furthermore, the methodology itself was faulty; with its use, even random data would give a hockeystick temperature curve. 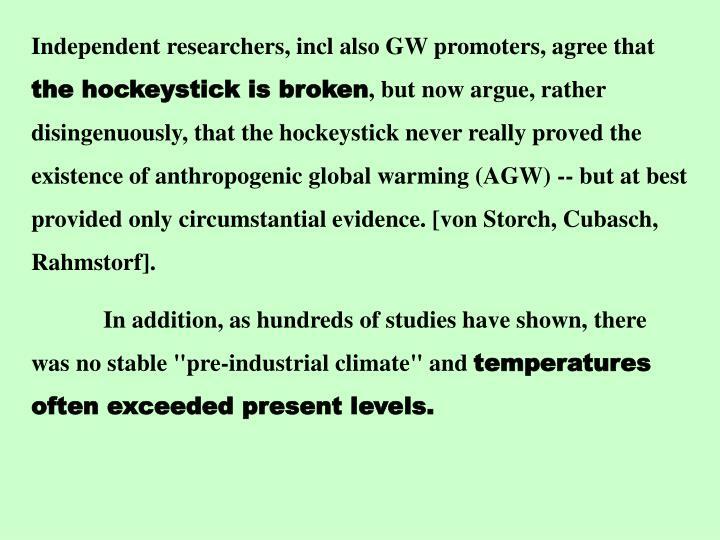 Independent researchers, incl also GW promoters, agree that the hockeystick is broken, but now argue, rather disingenuously, that the hockeystick never really proved the existence of anthropogenic global warming (AGW) -- but at best provided only circumstantial evidence. [von Storch, Cubasch, Rahmstorf]. 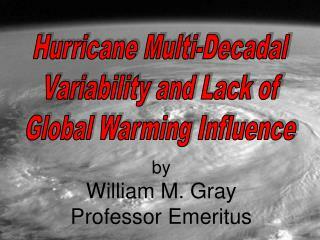 In addition, as hundreds of studies have shown, there was no stable "pre-industrial climate" and temperatures often exceeded present levels. Few scientists dispute that the global average temperature rose during the early part of the 20th century -- up to about 1940. 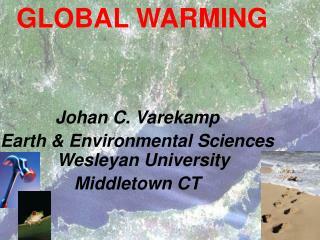 It then cooled until about 1975, raising widespread fears of a coming Ice Age. 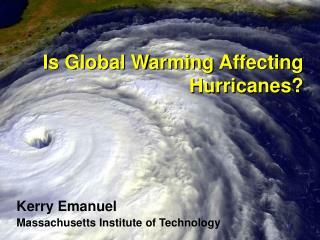 A sudden rise of nearly 0.2 C occurred between 1976 and 1978, linked to a shift in ocean circulation. 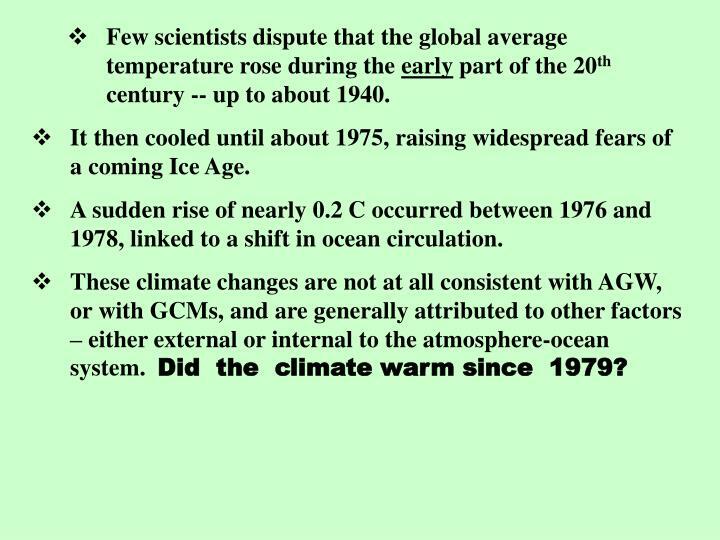 These climate changes are not at all consistent with AGW, or with GCMs, and are generally attributed to other factors – either external or internal to the atmosphere-ocean system. 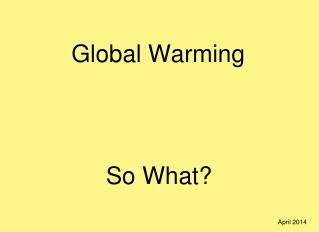 Did the climate warm since 1979? 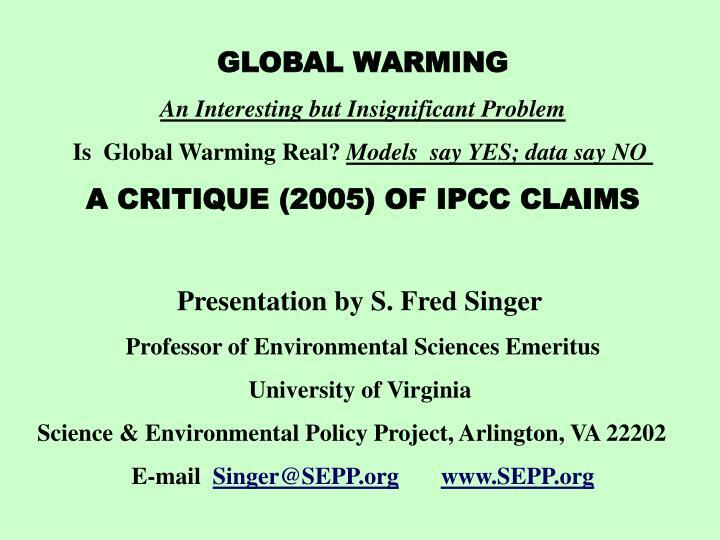 The main dispute centers on whether there has been a warming since 1979, the year that weather satellites first began pole-to pole measurements of atmospheric temperatures. 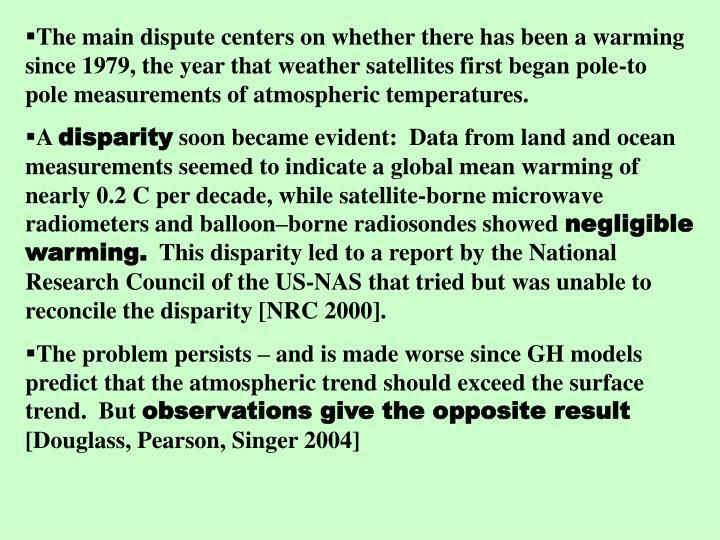 A disparity soon became evident: Data from land and ocean measurements seemed to indicate a global mean warming of nearly 0.2 C per decade, while satellite-borne microwave radiometers and balloon–borne radiosondes showed negligible warming. This disparity led to a report by the National Research Council of the US-NAS that tried but was unable to reconcile the disparity [NRC 2000]. There have been several unsuccessful attempts to discredit the satellite results. 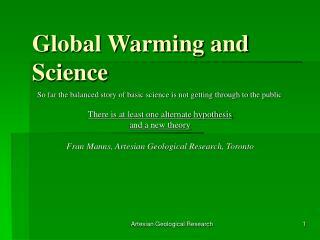 It seems more likely, however, that the surface data are contaminated (for example, by urban heat islands) and produce a spurious global warming trend. 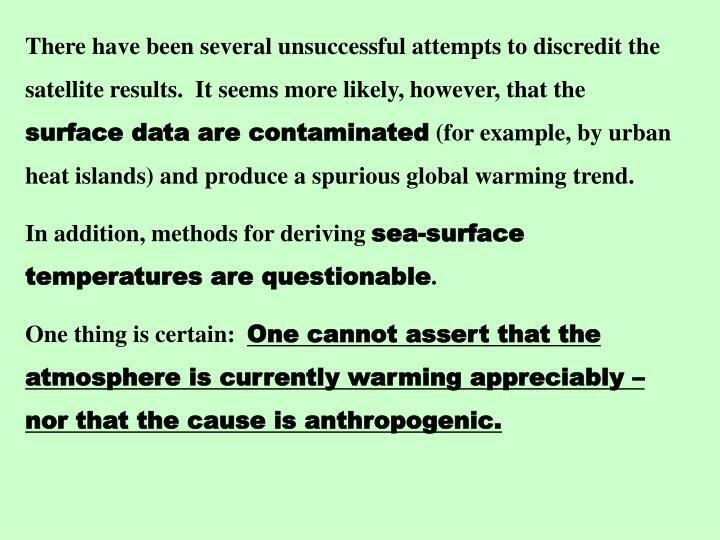 In addition, methods for deriving sea-surface temperatures are questionable. 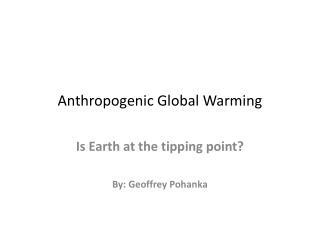 One thing is certain: One cannot assert that the atmosphere is currently warming appreciably – nor that the cause is anthropogenic. 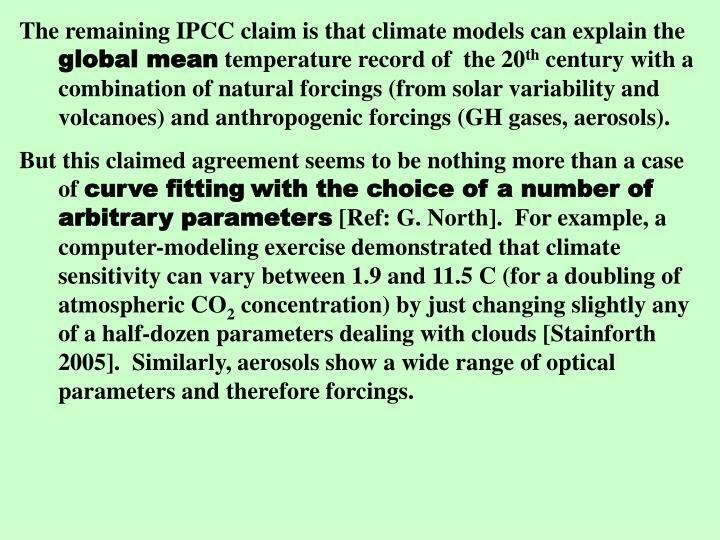 The remaining IPCC claim is that climate models can explain the global mean temperature record of the 20th century with a combination of natural forcings (from solar variability and volcanoes) and anthropogenic forcings (GH gases, aerosols). But this claimed agreement seems to be nothing more than a case of curve fittingwith the choice of a number of arbitrary parameters [Ref: G. North]. 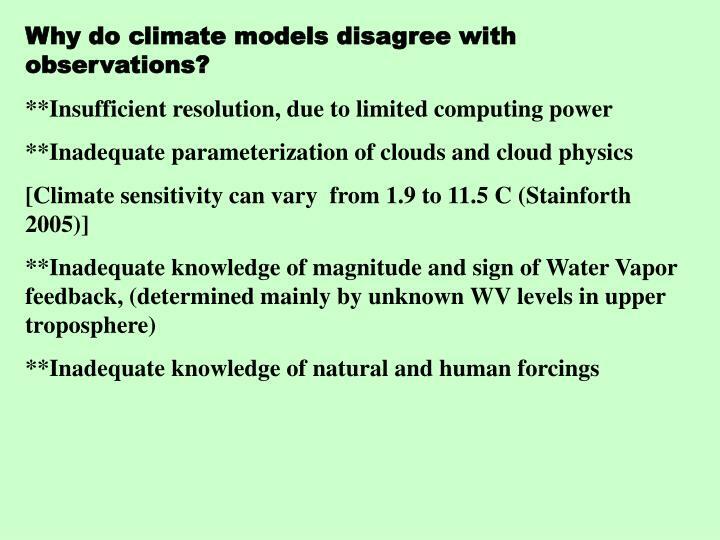 For example, a computer-modeling exercise demonstrated that climate sensitivity can vary between 1.9 and 11.5 C (for a doubling of atmospheric CO2 concentration) by just changing slightly any of a half-dozen parameters dealing with clouds [Stainforth 2005]. Similarly, aerosols show a wide range of optical parameters and therefore forcings. 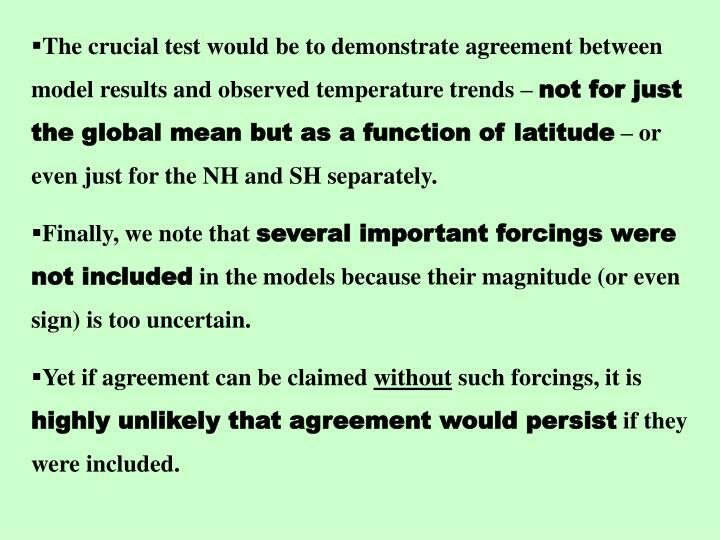 The crucial test would be to demonstrate agreement between model results and observed temperature trends – not for just the global mean but as a function of latitude – or even just for the NH and SH separately. Finally, we note that several important forcings were not included in the models because their magnitude (or even sign) is too uncertain. Yet if agreement can be claimed without such forcings, it is highly unlikely that agreement would persist if they were included. 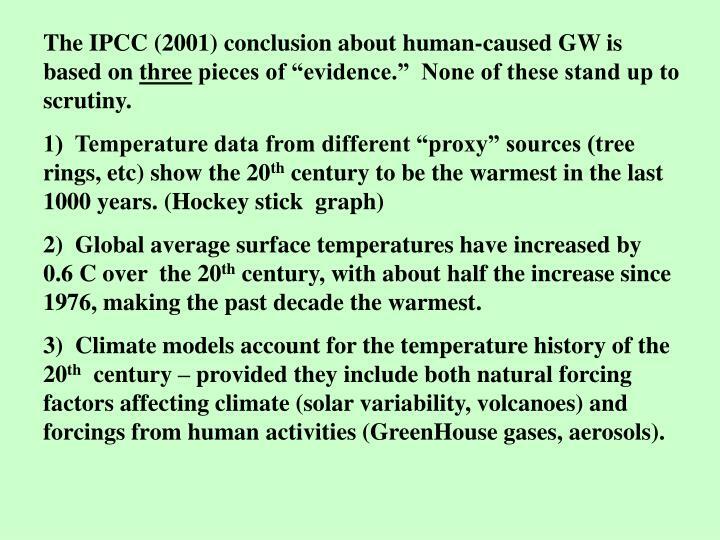 We have tried to demonstrate here that the IPCC claim for existence of “new and stronger evidence that most of the warming observed over the last 50 years is attributable to human activities” cannot be maintained. 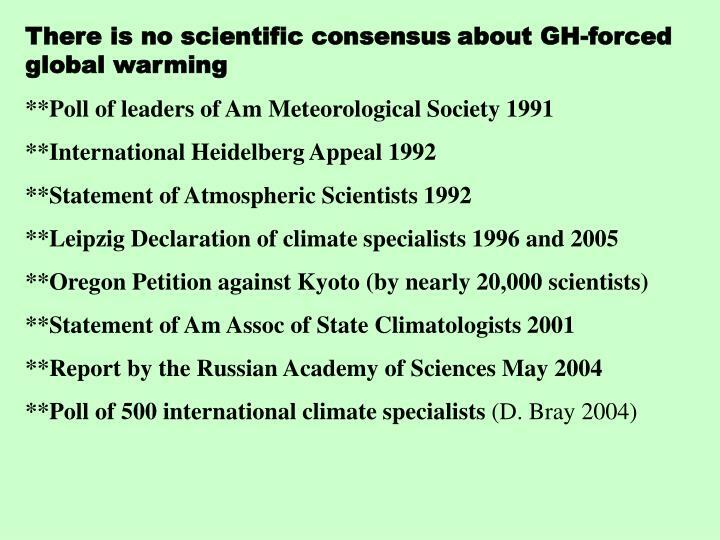 This does not argue that AGW is absent; but that it is simply too small to be detectable, and much less than calculated from GCMs. 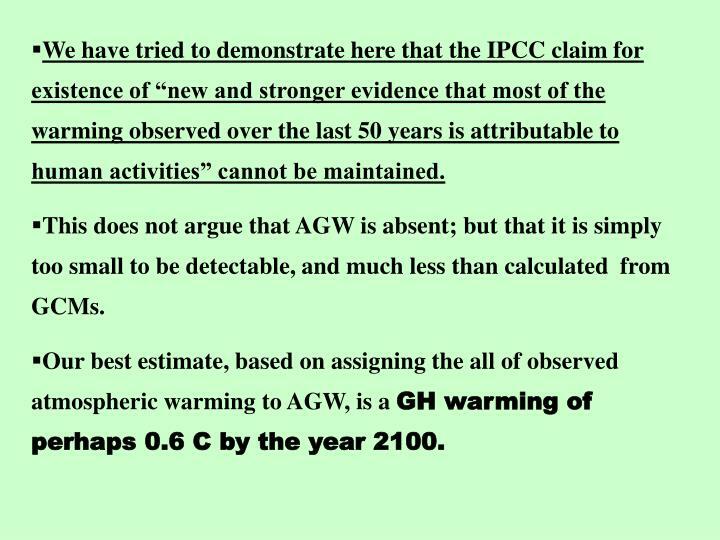 Our best estimate, based on assigning the all of observed atmospheric warming to AGW, is a GH warming of perhaps 0.6 C by the year 2100. 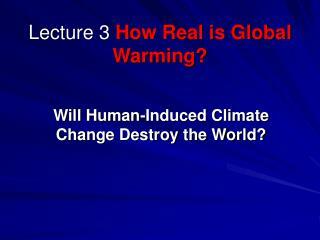 ** Assume (conservatively) that ALL is due to increasing CO2. ** Then the surface trend should be about 20% less (acc. 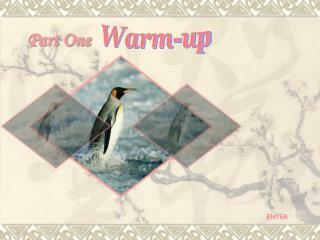 to GH theory) --or about 0.065 C/decade. 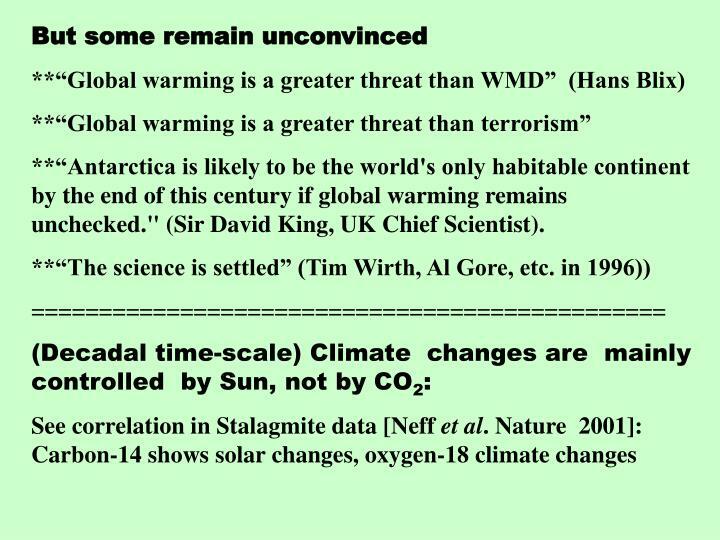 ** Assume (again conservatively) that CO2 will increase exponentially, then the temp trend will be linear (acc to radiation theory). 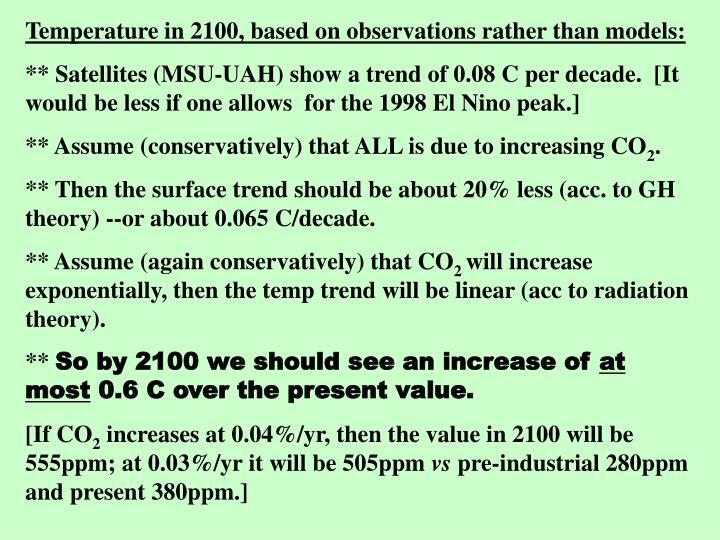 ** So by 2100 we should see an increase of at most 0.6 C over the present value. 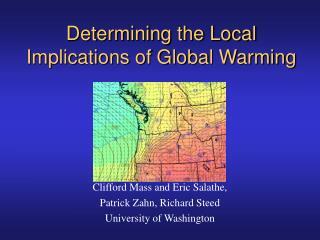 Why do climate models disagree with observations? 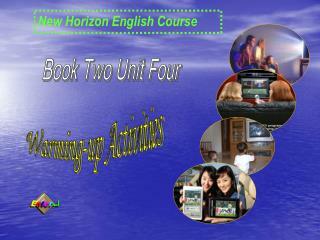 **Stabilization of GH gas levels requires a reduction of 60 to 80% by ALL nations! 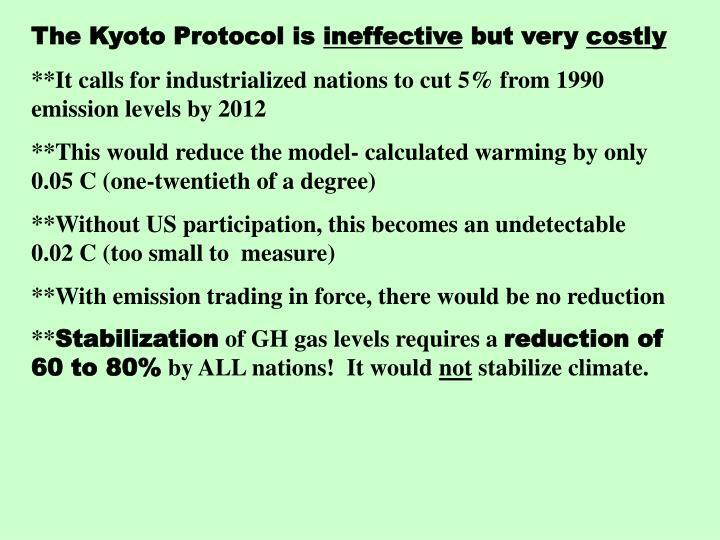 It would not stabilize climate. 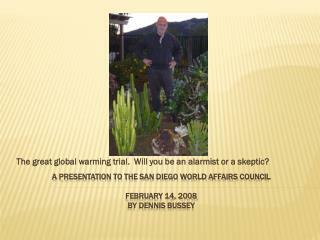 **An international survey (2004) among some 500 climatologists found that "a quarter of respondents still question whether human activity is responsible for the most recent climatic changes." (Der Spiegel, 24 January 2005; http://service.spiegel.de/cache/international/spiegel/0,1518,342376,00.html). 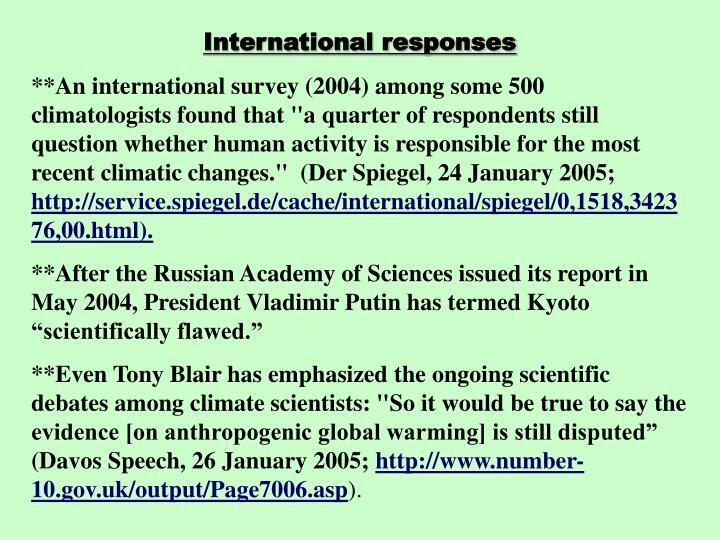 **Even Tony Blair has emphasized the ongoing scientific debates among climate scientists: "So it would be true to say the evidence [on anthropogenic global warming] is still disputed” (Davos Speech, 26 January 2005; http://www.number-10.gov.uk/output/Page7006.asp). 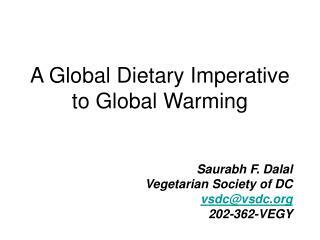 **“Antarctica is likely to be the world's only habitable continent by the end of this century if global warming remains unchecked." (Sir David King, UK Chief Scientist). 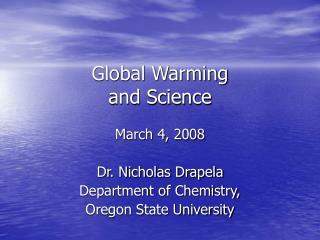 o Global changes are mainly natural; human effects likely minor in comparison. 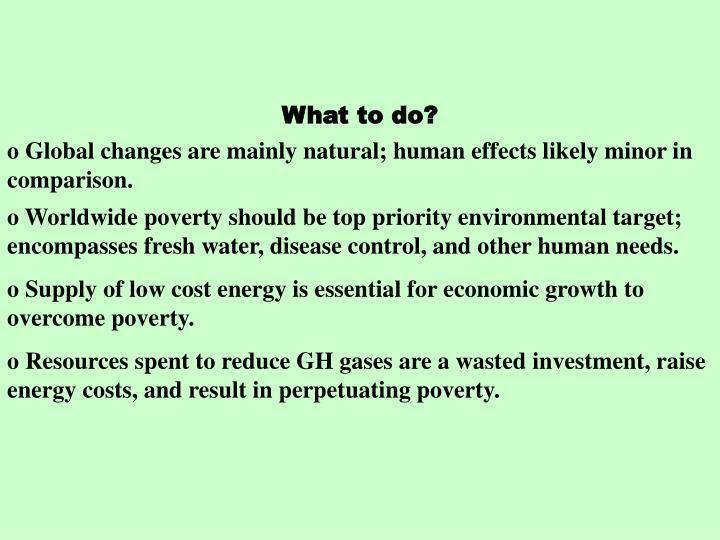 o Worldwide poverty should be top priority environmental target; encompasses fresh water, disease control, and other human needs. 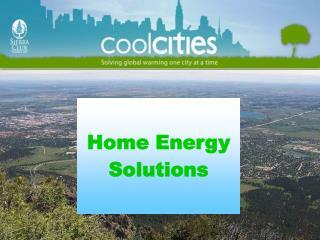 o Supply of low cost energy is essential for economic growth to overcome poverty. 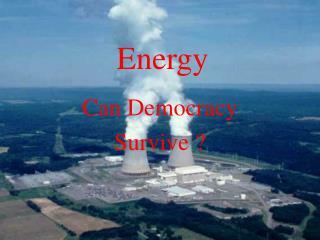 o Resources spent to reduce GH gases are a wasted investment, raise energy costs, and result in perpetuating poverty.